Yesterday we told you about AT&T’s decision to back out of its proposed $39 billion merger with T-Mobile. After facing heated scrutiny and antitrust concerns from both the Federal Communications Commission and Department of Justice, AT&T couldn’t take the heat any longer. As part of the deal falling through, AT&T has agreed to pay T-Mobile $3 billion in cash for breakup fees. The money combined with the two carriers’ spectrum and roaming deal makes T-Mobile the only winner of the failed merger. 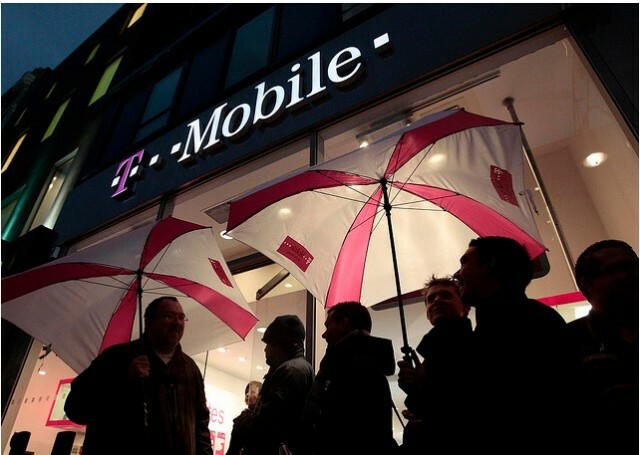 Deutsche Telekom, T-Mobile’s parent company, has worked out a deal with AT&T that gives T-Mobile USA several new perks. On top of the cash (which isn’t really that significant at this scale) T-Mobile also receives spectrum licenses from AT&T in 128 US markets and a 7-year roaming agreement with AT&T that expands T-Mobile’s potential customer base by 50 million subscribers. The merger wasn’t approved for obvious reasons: no one wants to give AT&T more power than it already has, and the more competition there is in the US carrier space the better. While T-Mobile is the least-powerful ‘big’ player left, the GSM carrier still has a fighting chance. Macworld reports that AT&T will give T-Mobile Advanced Wireless Services (AWS) spectrum in 12 of the top 20 US cities, including San Francisco, Boston, Atlanta, Washington, Los Angeles, Dallas, and Seattle. The two carriers’ 7-year roaming agreement will give T-Mobile 3G access to many parts of the country that it couldn’t previously reach, increasing the network’s reach by 50 million customers to 280 million. AT&T, Verizon, and Sprint all offer the iPhone, so T-Mobile is the only major carrier left out in the cold. Many have speculated that the iPhone 4S would be announced on T-Mobile, and the merger with AT&T could very well be the reason that Apple decided to not partner with T-Mobile in 2011. Why partner with a carrier that’s about to be bought by another carrier you’re already in bed with? Now that T-Mobile’s fate as an independent carrier is assured, is it possible that we will see a T-Mobile iPhone in 2012? Something like the iPhone may be what T-Mobile needs to become relevant again. Then again, it could already be too late.